1. New York is located in the North EastNorth WestSouth EastI don't know of the USA. 2. It is the business centrestock exchangecapitalI don't know of America. 3. You can find many buildinghighs buildingsskyscrapersI don't know there. 4. 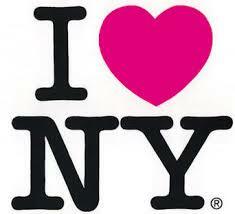 New York's nickname is The Big AppleThe Big ApricotThe Big CentreI don't know . 5. The capital of New York State is AlbanyBuffaloSyracuseI don't know . 6. The name of the biggest river in New York State is Hadson RiverHodsun RiverHudson RiverI don't know . 7. In New York more than 150300200I don't know films are shot each year. 8. The most famous skyscrapers are in Manhattan, such as Rockfeller BuildingThe Empire State BuildingThe Chrysler BuildingI don't know . 9. More than 15002000170I don't know different languages are spoken in New York. 10. New York is a multiculturalbeautifullyolderI don't know city.